Factfulness (2018) offers readers a wealth of statistics and cold, hard facts that reveal the world to be a far better place than it was just a couple generations ago. 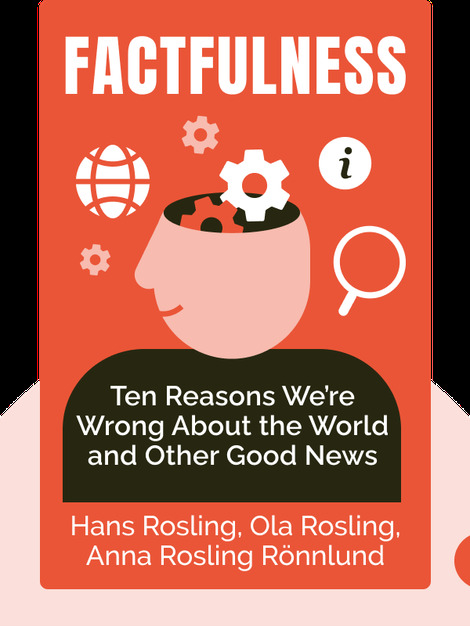 But, more than that, author Hans Rosling also offers readers a way to revise their thinking and fight against our instinct to focus on the bad and lose sight of the good. Hans Rosling was an esteemed public educator who strove to enlighten the minds of people around the globe. He used his decades of experience as a medical doctor and professor of public health to provide useful information about and solutions to the challenges of the day, especially in low-income communities. Before he passed away in 2017, Rosling gave extremely popular TED Talks and was ranked among the most influential people in the world by Time magazine. 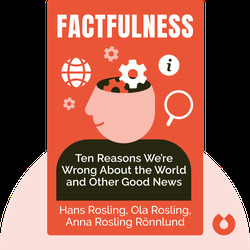 Ola Rosling and Anna Rosling Rönnlund are the son and daughter-in-law of Hans Rosling. They are also the co-founders of the Gapminder Foundation, dedicated to designing graphics and using cutting-edge technology to make statistics and data more easily accessible and understood.